The credit of reviving the ancient art of ‘Avadhana’ in Kannada language goes to Shatavadhani Dr.R.Ganesh. The art of ‘Avadhana’ is unique not only among the arts of India but also of the whole world. Though Sanskrit language is the mother of this ancient art which requires the highest degree of retention and poetic genius, it was in the caring hands of Kannada and Telugu languages that this greatest of arts, which is a majestic confluence of talent, word-power, scholasticity, hardwork, entertainment and education, was cradled and nourished into its present modified and attractive form. Kannada, in particular, shares a special bond with this art. Inspite of such closeness, this art form almost vanished from the scene of Karnataka in the 20th Century. It was in the year 1981 that this glorious art reappeared on the scene. This time, it was not merely a golden ray of hope, but a major comeback of the forgetten art, which soon blossomed afresh and gradually grew up into a mighty tree assuring shelter and guidance to the future aspirers. Dr.R.Ganesh, popularly known as ‘Shatavadhani’ created history by reviving, nourishing and re-establishing this art in all its glory. He further unfolded the greater potentials of the art and popularized it immensely in Karnataka. ‘Avadhana’ literally means ‘perfect concentration’ and uninterrupted contemplation on a particular subject. The ‘art of Avadhana’ includes accomplishing many a challenging intellectual feat simultaneously with great confidence and sportive zeal. ‘Avadhana’ not only thoroughly entertains but also thrills the audience. The seemingly superhuman capacity of the ‘Avadhani’ (the one who performs) fascinates the audience giving an interesting insight into the unlimited potentials of the literary world. The whole art in itself is much more than mere entertainment; it is rather educative revealing the various aspects of word-power, poetry, retention, wit and powers of the intellect. Dr.Ganesh’s knowledge of Aesthetics (Alankara Shastra) is extraordinarily vast. Complimenting one of his masterly essays on Alankaras, Dr.K.Krishnamurthy, a scholar of international repute exclaimed-“This single essay itself deserves a doctorate degree !”. Another great scholar opined of Dr.Ganesh’s genius thus-“With half the intelligence of Dr.Ganesh, I would have perhaps ruled over the intellectual world of the whole of South India !”. ‘Kavya-Chitra’, a unique show of parallel arts, which Dr.Ganesh has masterminded and performs with the world reknowned painter Shri. B.K.S.Verma, is one of the latest jewels in his crown. This superb feat of ‘on the spot poetry and painting’ has won great admiration from thousands of people not only within the state and nation, but allover the world. ‘Nirantara Kaavya Chitra’ (non-stop Poetry-Painting) – one such combined feat of Dr.Ganesh and Verma which was held non-stop for 24 hours in the Rashtrothana Parishat in Bangalore (1997) is a record in itself. During this eventful feat, a fascinating chain of 181-poems extempore, by Dr.Ganesh, left the audience spellbound. ‘Kaavya-Chitra’ was performed in the Vishwa Kannada Sammelana at Houston in America, in the year 2000, which captured the imagination and appreciation of people. At around the same time 20 such performances were given in various parts of America and also in England. Dr.Ganesh has a number of compositions like Suprabhatas, Stotras and songs on various deities. Leading artists have sung these in cassettes which have been extremely popular. Cassettes containing his narrations on Soundaryalahari, Harishchandra Kavya, Mankutimmana Kagga, Subhashitas etc. have also been well received. He has composed exclusive dance and musical lyrics which are being adapted by performing artists. He is also a modern ‘Vaaggeyakara’ (Music composer) who has composed quality pieces like Tillanas, Padas, Kritis, Ragamaalika Kritis etc. ‘Bhamini’, a unique dance show based on the Ashtanaayikas (Eight dancers) theme of classical dance, is one of his creations which is rendered in the ‘Yakshagana’ style. This has commanded great appreciation and is considered a landmark in the history of ‘Yakshagana’. ‘Krishnaarpanam’ is one of his latest such additions to ‘Yakshagana’ which deals with the divine love and relationship of the different women appearing in Shri Krishna’s life. Dr.Ganesh has himself participated and performed in some Yakshagana shows. Dr.Ganesh has taught in the Ramaiah and R.V.College of Engineering. He has also served as the Director of Sanskrit Department in the Bharatiya Vidya Bhavana, Bangalore. He is presently working with the Jain International Residential School in Bangalore. He is the Director of ‘Naimisha’ Research and Foundation and also Chief Editor and guide of the ‘Abhijnana’ publications. His natural talent, learning, simplicity and nobility have won Dr.Ganesh a number of admirers. A great many number of institutions and groups have recognised, honoured and felicitated him and showered him with titles, praises, accolades and citations. ‘Avilamba Saraswathi’, ‘Purusha Saraswathi’, ‘Kavyakantha’ etc. are some of the prestigious titles conferred on him. In recognition of his valuable contribution to the field of Sanskrit, Aradhana and poetry, Government of Karnataka conferred on him the ‘Rajyotsava Prashasthi’ (State Award) for the year 1992. The Kolar Jilla Sahitya Parishat has conferred on him the ‘Best Sahiti’ of the year award. (Two are the paths of the Goddess of learning – Knowledge and Poetry. The former owes its birth to intelligence while the latter emerges effortlessly from talent inherent). I have heard of the accomplishments of Dr. Ganesh, but never got a an opportunity to communicate to him my respects. I would be very much obliged if you can send me across his contact details (email adddress and or tel.no.). Why dont you put up this article in wikipedia. It is unfortunate that there is no article about Ganesh in that encyclopedia. I am an Avadhani, by family name, even though I have no knowledge of what it means to be an Avadhani. Having been brought up in the modern day, I have achieved being a medical doctor, a Vidhushi in Bharathanatyam , learned Carnatic classical music and also done some modeling in the past and I am avid writer. I have always been very proud of my diverse fields of knowledge. Today, my search for understanding what an Avadhani is brought me to this website. Thank you for giving me an idea as to what type of knowledge an Avadhani holds. But, I still did not get a clear picture of what an ‘Avadhana’ is. It would help if you could please describe what an Avadhana is. Thanks again. There are also a branch of people who are descendants of a person who has done Somayaga. The surnames of Somayya or Avadhani can be retained for three generations post that. There is also a distinct possibility that you are so. The other accolade like “shatavadhani” or “Asthavadhani” has to be earned. Dr Ganesh is an amazing personality, whose discourses in Chandana and other TV channels my wife & I are enjoying regularly. My search for information about him and the term shathavadhani led me to this article. He is indeed a fantastic achiever. All wishes to him to continue his glorious endeavour of serving humanity. All the above comments discribe Shatavadhani Ganesh in parts. One more great service he has rendered in understanding history in kannada, is his exhaustive write up in Vijaya Karnataka,in the year 2007, about the falsification of history of Tipu Sultan & similar Islam rulers and about the barbaric role of cristian missioneries in religious conversions, published today. This detailed account on the role of missioneries has been published as a response to the article by famous kannada novelist S L Byrappa, critisizing religious conversion. All right thinking citizens wish him good in all of his endevours to enlighten the humanity. Sab ko sanmati de bhagwan. I am happy to humbly announce that I translated the article on Dr Ganesh into english. I was only too happy to do the same because I know him in person. He has also been my teacher. He is a one of the greatest genius India has produced. He is a combination of traditional and modern knowledge and a very original thinker, a stauch satyavadi, very progressive but sensitive to tradition too.He is a confluence of Multiple-talents, learning and humility. His avadhanam is very fascinating and every Indian must witness it to get an estimate of how amazing the classical art of avadhanam is like. Is there a place where I can download Shatavadani Ganesh’s DVD ? i was entirely bowled over by R. Ganesh’s achievements. i am happy to say that i also belong to his community.devarayasamudram. where is ganesh, where are we? genius son of this Bharat Mata. Ashtaavadhanis in my life. Haven’t met a shatavadhani. Would like to meet him, pay my respects and take his blessings. Can I get details about him…address, tel no. etc. I liked this site and its contents. Is it possible to know if the books mentioned in the article above are on sale and if so, where can I buy these titles written by Dr. R Ganesh ? I would greatly appreciate if I can receive this information. Dr.R.Ganesh really deserves GNANA PEETHA my salutations to this devinity. I am always love to hear or to see Asthavadana programme of Dr. R Ganesh. I really wonder the height of mastery of his mental capacity. Now i am in Gulf contry nowhere Asthavadana details or clippings are available. I do sageest all the clipping of avadanam have to uploaded to You tube. this is my request. I am very much impressed by the way answers questons in the T.V. programmes. I want to meet him personally to seek his guidance. Can you kindly provide either his address or phone number and enable me to express my proglem him. Ganesh.Presently,I am working in Company.When I was in 8th standard I came to know about Ganesh Sir through TV programme.Really I am very much impressed by him.From that time I tried to contact him.I need his guidance.I dont how I can contact him.We need their e-mail id. Please let me have the contact e mail id of revered Dr R Ganesh to seek some clarifications. People like Sri Dr. R. Ganesh are unique souls who take birth once in a lifetime. He is an absolute genius. I have had the rare privilege of being taught by Sanskrit by him for a small duration in MES College. I admire and respect this amazing personality a lot and wish him all success in keeping the ancient Indian culture, languages and traditions aloft for years to come. Shatavadhani Dr Ganesh is giving a talk on ‘relevance of Maha Bharat to present times’at Kalyananagar-1ST Block.IT is an amazing lecture and I could come across only a facet of his personality.The lecture goes till 14.1.2010-everyday 6.45pm to 8.30 pm.The logic and communication is too good to miss. Wish that God give him long life and country and State recognise and Honour him with what all it can offer. I agree with Mr.Narasimha Murthy. I am regularly attending this program of Dr.R.Ganesh at Kalyannagar. I must say he has brought lot of clarity into my thoughts on life and philosophy. I think this lecture session is ending on 31st December 2009. I just finished listening to a discourse named “Veda Mantra Parichaya” by Dr.R Ganesh. I am so impressed by the way Dr Ganesh has explained the meanings of our Veda Mantras that i started getting different perspective of Vedas, the eternal Truths. Dr Ganesh is an amazing personality and I admire his knowledge, language mastery, his way of interpreting the vedas thru the lense of current science. I am ever so proud of being born in a country & culture that has produced the highly evolved beings like Dr. Ganesh, and many more who are still laying hidden under the heaps of lies layered thick on our national countenance. My humble repects to this great Indian. I wish I could learn more about Ashtavadhan & get our next generations interested & involved in it. someone has deleted Shatavadhani Ganesh’s wikipedia page. I don’t know why. It was there few months back…. Care should be taken when adding information about living persons to any Wikipedia page. Such material requires a high degree of sensitivity, and must adhere strictly to all applicable laws in the United States, to this policy, and to Wikipedia’s three core content policies.If it is missed there are chances that page will be deleted automatically.Who ever had created Sir’s page, probably lacked the above. We (his followers) should plan to put it back properly. Btw, Ganesh sir currently on his jaithrayaathre to Belgium, Paris and Greece. I need to know the email address of Dr R.Ganesh.as I want to know some information about puranas. Can somebody please get me his email? Any body please help me, Where can i buy Shodash Samskaragalu cd of Dr. R. Ganesh. Yes. Dr.R.Ganesh is a genious of our times. We at Brahmavidya are very proud to announce that we have instituted a prestigious Award in commemoration of Sri Jayachamaraja Wadiyar, 25th Yadava King of Mysore samsthan and this year Dr.R.Ganesh has been nominated to this Award by expert committee consisting of great exponents and stalwart personalities of our country. He has kindly agreed to receive this award on july 18th this year in Mysore during the JCWB’s (Jayachamaraja Wadiyar Bahaddur) 93rd birthday celebrations and Karnataka Vaggeyakara Dinacharane. it will be held in Jaganmohana Palace Auditorium. Maharaja Kumaris, Smt. Kamakshidevi and Smt. Indrakshidevi, daughters of the erstwhile Maharaja will present the award to him in the presence of Sri S.A.Ramadas, Incharge Min. of Mysore, Mahamahopadhyaya Dr.R.Sathyanarayana, Sri JayaramarajeUrs, Sang.vid. S.Krishnamurthy (grandson of Sri Mysore Vasudevacharya) and Mirle Kartic. I thank the EKAVI for giving a ready info on this master of all indian shastra and prayoga. A good insight into the glorious accomplishments of this unassuming and down to earth genius. 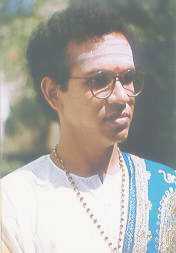 Sri Suryaprakash Pandit ji. Very well compiled and superb translation. Can I use it (inputs) with your due permission to introduce Dr Ganesh to the audiences at a forthcoming event he would be presiding ? Its great to see this website… One more point i wanted add about him…. He written book about our great D.V.G. namingly “Brahmapuria Bikshuka”. Its a very good book to know interesting aspects of D.V.G. And he is regularly giving lecture on various topic in GIPA. (Ghokale Instistue of Public Affairs. N.R.Colony,Bangalore). ಇತ್ತೀಚೆಗೆ ಪೇಜಾವರರ ಬಗ್ಗೆ ಬಗ್ಗೆ ಕನ್ನಡ ಪ್ರಭದಲ್ಲಿ ಪ್ರತಾಪ ಸಿಂಹರು ಬರೆದ ಲೇಖನವನ್ನು ಅವರು ನಿಮಗೆ ತೋರಿಸಿಯೇ ಪ್ರಕಟಿಸಿದ್ದೇನೆ ಎಂದು ಹೇಳಿಕೊಂಡಿದ್ದಾರೆ. ಅವರ ಲೇಖನದ ಎಲ್ಲಾ ಅಭಿಪ್ರಾಯಗಳಿಗೆ, ಬಳಸಿದ ಕೀಳು ಶಬ್ದಗಳಿಗೂ ನಿಮ್ಮ ಸಹಮತಿ ಇದೆ ಎಂದು ಅದರ ಅರ್ಥ. ಇದಕ್ಕೆ ತಮ್ಮ ಅಭಿಪ್ರಾಯವೇನು? ಎಂಬುದಾಗಿ ಜಗತ್ತಿನ ಎಲ್ಲ ಹಾಸ್ಯ ಕವಿಗಳನ್ನೂ ಮೀರಿಸುವ ರೀತಿಯಲ್ಲಿ ಆಶುಕವಿತೆ ರಚಿಸಿದರು. ಯೋಚಿಸಿ . ಈ ರೀತಿ ಶತಾವಧಾನದ ಅವಧಾನಿಯಾಗುವುದು ಎಂದರೆ ಜಗತ್ತಿನ ಎಲ್ಲ ಬದಲಾವಣೆಗಳ ಅರಿವು ಇರಬೇಕು. ಕೇವಲ ವರ್ತಮಾನದ ಅರಿವಿದ್ದರೆ ಸಾಲದು ಭೂತಕಾಲ , ಭಾವಿಶತ್ಕಾಲಗಳ ಅರಿವು , ಆಳ ತಿಳಿದಿರಬೇಕು , ತಿಳಿದಿದ್ದರೆ ಸಾಲದು , ಕೇಳುವ ಪ್ರಚ್ಚಕರು , ಪ್ರಭುದ್ದ ಸಭಿಕರು ತಲೆದೂಗುವನ್ತಿರಬೆಕು . ಆಸಕ್ತರ ಆಸಕ್ತಿ ಕುಂದದಂತೆ ಕಾರ್ಯಕ್ರಮ ಮುನ್ನಡೆಸುವ ಜವಾಬ್ದಾರಿಯೂ ಅವಧಾನಿಯದೆ ಆಗಿದೆ. ಒಂದೆರಡು ಘಂಟೆಗಳ ಕಾರ್ಯಕ್ರಮವಲ್ಲ. ಮೊದಲನೇ ದಿನ ಮೊದಲನೇ ಸುತ್ತಿನಲ್ಲಿ ಹೇಳಿದ್ದು , ಕೇಳಿದ್ದು ನೆನಪಿನಲ್ಲಿಟ್ಟು , ಮುಂದಿನ ಹಂತದಲ್ಲಿ ಮುಂದಿನ ಸಾಲನ್ನು ಹೇಳಬೇಕು. ಸಭಿಕರು ಮರೆತರೆ ನಡೆದೀತು ! ಯಾಕೆಂದರೆ ಹಿಂದೆ ಹೇಳಿದ್ದನ್ನು ನೆನಪಿಸಿ ಮುಂದೆ ಸಾಗುವದೂ ಅವಧಾನಿಯದೆe ಕೆಲಸ. ಶತಾವಧಾನದಲ್ಲಿ ನೂರು ಜನ ಪ್ರಚ್ಚಕರು ಕೇಳುವ ಸಮಸ್ಯೆ , ಪ್ರಶ್ನೆಗಳನ್ನು ನೆನಪಿನಲ್ಲಿಟ್ಟು , ಸಮಾಧಾನಕರವಾಗಿ ವ್ಯಾಕರಣ ಶಾಸ್ತ್ರಕ್ಕೆಲ್ಲೂ ಕುಂದು ಬರದಂತೆ , ಅವಧಾನಿ ಮುನ್ನಡೆಯಬೇಕು. ಅವಧಾನಿಯು ಈ ಎಲ್ಲ ಸಮಸ್ಯೆಗಳ ಸುಳಿಯಲ್ಲಿ ಸಿಲುಕಿ , ತನ್ನ ವಿದ್ವತ್ತನ್ನೇ ಪಣಕ್ಕಿಟ್ಟು ಯೋಚಿಸುವಾಗ , ಅವಧಾನಿಯ ಸ್ಮರಣ ಶಕ್ತಿ ಕುಂದಿಸಲು , ಅವಧಾನಿಯ ದಾರಿ ತಪ್ಪಿಸಲು , ಅವಧಾನಿ ಕೊeಪಗೊಳ್ಳಲು , ಕೋಪದ ತಾಪದಲ್ಲಿ ಸಿಲುಕಿ ವಿಲ ವಿಲ ಒದ್ದಾಡುವಂತೆ , ಇಲ್ಲ ಸಭೆ ಬಿಟ್ಟು ಓಡೋಡುವಂತೆ ಮಾಡಲು , ಅವಧಾನಿಯ ಎಲ್ಲ ಸಮಸ್ಯೆಗಳಿಗೆ ಕಳಸ ಪ್ರಾಯದಂತಹ ಸಮಸ್ಯೆ ಸ್ರಸ್ಟಿಸಲು , “ಅಪ್ರಸ್ತುತ ಪ್ರಸಂಗಿ “ಎಂಬ ನಾಮಧೇಯ ಹೊತ್ತ ಬಲಿತ ಮೆದುಳೊ0ದು ಕಾಯುತ್ತಿರುತ್ತದೆ , ಕಾಡುತ್ತಿರುತ್ತದೆ. ಮುಂತಾದ ಸಮಸ್ಯಾಪೂರ್ತಿ ಮಾಡಿ , ಗಣೇಶ್ ಅವಧಾನಿಗಳು ತಮ್ಮ ಜ್ಞಾನ ಶ್ರೆeಸ್ಟತೆ ಮೆರೆದರು. ಗ್ರಹಿಸಿ , ಮೊದಲನೇ ಪಾದದಲ್ಲಿ ಸೈನ್ , ಎರಡನೇ ಪಾದದಲಿ ಕೊಸೈನ್ , ಮೂರನೆ ಪಾದದಲ್ಲಿ ಟ್ಯಾನ್ ಮತ್ತು ನಾಲ್ಕನೇ ಪಾದದಲ್ಲಿ ಕಾಟ್ ಶಬ್ದಗಳು ಬಂದಿವೆ. ಹೀಗೆ ಸಾಗಿತು ದತ್ತಪದಿಯ ಚಮತ್ಕಾರ , ಶತಾವಧಾನಿಗಳ ನಾಲಿಗೆಯಲ್ಲಿ ಸರಸ್ವತಿಯ ಸುಲಲಿತ ನಾಟ್ಯ ಲೀಲೆ. ಅದೇ ರೀತಿ ಕಾವ್ಯವಾಚನ , ತಮ್ಮ ರಾಗ , ತಾಳ , ಲಯಗಳಿಂದ , ಶ್ರುತಿ , ಸ್ವರಬದ್ಧವಾಗಿ ಹಾಡುವ ಕವನ -ಕಾವ್ಯ. ದ್ವನಿ ಸ್ವಾರಸ್ಯದಿಂದೊಡಗೂಡಿದ ವ್ಯಾಸ , ವಾಲ್ಮೀಕಿ , ಕಾಳಿದಾಸ , ಭವಭೂತಿ , ಭಾರವಿ, ಬಾಣಾದಿಗಳೂ , ಪಂಪ , ರನ್ನ , ಹರಿಹರ , ನಾಗವರ್ಮ , ಕುಮಾರವ್ಯಾಸ, ರಾಘವಾಂಕ, ಲಕ್ಶ್ಮಿeಷ, ಷಡಕ್ಷರಿ , ರುದ್ರ ಭಟ್ಟರು , ಡಿ.ವಿ.ಜಿ. , ಕುವೆಂಪು , ಗೋವಿಂದ ಪೈ , ಪು.ತಿ.ನ ರವರ ಕವನಗಳನ್ನು ವಾಚಿಸುವರು. ಅವಧಾನಿಗಳು ಅದೇ ರಾಗ , ಶ್ರುತಿ , ತಾಳ , ಲಯಗಳಲ್ಲಿ ಕವಿಗಳ ಹೆಸರು ಹೇಳುತ್ತಾ , ಕವಿಯ ಶ್ರೇಷ್ಟ ಗುಣಗಳನ್ನು ಪ್ರೇಕ್ಷಕರ ಗಮನಕ್ಕೆ ತರುತ್ತ ಆಶುಕವಿತೆ ರಚಿಸಿ ಹಾಡುವರು. ಈ ಶತಾವಧಾನ ತುಮ್ಬುಗನ್ನಡದ ಶತಾವಧಾನವಾದ್ದರಿಂದ ಕನ್ನಡ ಕವಿ ಪುಂಗವರ ಶ್ರೇಷ್ಟ ಕವನಗಳನ್ನು , ಜನಪ್ರಿಯ ಗಮಕಿ ಕೆದಿಲಾಯರವರ ಸಿರಿ ಕಂಠ ದಲ್ಲಿ ಆಸ್ವಾದಿಸುವದು ಒಂದು ರೋಮಾಂಚಕ ಅನುಭವವಾಗಿತ್ತು. ಕೆದಿಲಾಯರ ಸಿರಿಕಂಟಕ್ಕೆ ಮುಕುಟಪ್ರಾಯವಾಗಿ ನಮ್ಮ ಜನಾನುರಾಗಿ ಡಾ. ರಾ. ಗಣೇಶ್ ರವರ ಜ್ಞಾನ ಭಂಡಾರ , ದ್ವನಿ ಮಾಧುರ್ಯ ಸವಿಯುವದೇ ಒಂದು ಭಾಗ್ಯ. ಸಂಖ್ಯಾ ಬಂಧ . ಇದು ಪದಬಂಧವಿದ್ದಂತೆ. ಆರಂಭದಲ್ಲಿ ಪ್ರಚ್ಚಕರು ಅವಧಾನಿಗೆ ಒಂದು ಮೊತ್ತದ ಸಂಖ್ಯೆ ಹೇಳಿ , ಸಂಖ್ಯಾ ಬಂಧದ ಮನೆಗಳಲ್ಲಿ ತುಂಬಬೇಕಾದ ಸಂಖ್ಯೆಗಳನ್ನು , ಆಗಾಗ ಅವಧಾನದ ಮಧ್ಯೆ ಯಾವಾಗ ಬೇಕಾದರೂ ಅವಧಾನಿಯನ್ನು ತಡೆದು ಕೇಳುತ್ತಾರೆ. ಅವಧಾನಿಯು ದೀರ್ಘ ಯೋಚನೆಯಲ್ಲಿದ್ದಾಗ, ಇನ್ನೊಬ್ಬ ಪ್ರಚ್ಚಕರ ಸಮಸ್ಯೆ ಬಿಡಿಸುತ್ತಿದ್ದಾಗ ಮುಂತಾದ ಸಮಯದಲ್ಲಿ ಅವಧಾನಿಯ ಯೋಚನಾಲಹರಿಯನ್ನು ವಿಘ್ನಗೊಳಿಸಲು ಮತ್ತು ಅವಧಾನಿಯ ನೆನಪಿನ ಶಕ್ತಿಯನ್ನು ಒರೆಗೆ ಹಚ್ಚಲು ಇರುವದೀ ಸಂಖ್ಯಾ ಬಂಧ. ಪ್ರಚ್ಚಕನು ಅವಧಾನಿಗೆ ಚಿತ್ರವೊಂದನ್ನುವಿವರಿಸಿ , ಆ ಚಿತ್ರದ ಭಾವ , ವಿಷಯ ಸರಿಹೊಂದುವಂತೆ ಚಿತ್ರ -ಕವಿತೆ ರಚಿಸಲು ಕೋರುತ್ತಾನೆ . ಇನ್ನು ಅಪ್ರಸ್ತುತ ಪ್ರಸಂಗಿ. ಜನರೆಲ್ಲಾ ಒಪ್ಪಿಕೊಂಡಿರುವದು ಅಧಿಕಪ್ರಸಂಗಿ ಎಂದು. ಈ ವ್ಯಕ್ತಿಯ ಕೆಲಸವೇ ಅವಧಾನಿಯ ದಾರಿತಪ್ಪಿಸುವದು. ಲೋಕಜ್ನಾನವೆಲ್ಲ ಇರುವವನಾದರೆ ” ಅವಧಾನಿಗಳೇ ಇಂದು ನಿಮ್ಮ ಕೈಯಲ್ಲಿ ಬಾಟಲಿ ಹಿಡಿದಿದ್ದಿರಲ್ಲ “ಎಂದು ಕುಚೋದ್ಯದ ಪ್ರಸ್ನೆ ಕೇಳಿ ಅವಧಾನಿಗೆ ಕಸಿವಿಸಿ ಮಾಡಬಹುದು. ಅದೇ ರೀತಿ ಜಾಣ ಅವಧಾನಿ ” ಎತ್ತಿಗೆ ಔಷಧ ತರಲು ಬಾಟಲಿ ಕೈಯಲ್ಲಿ ಹಿಡಿದಿದ್ದೆ ” ಎಂದುತ್ತರ ನೀಡಬಹುದು. ತಿರುಗಿ ಅಪ್ರಸ್ತುತ ಪ್ರಸಂಗಿ ” ಆದರೆ ಅವಧಾನಿಗಳೇ ತೂರಾಡುತ್ತಿದ್ದಿರಲ್ಲ ” ಎಂದರೆ , ನೀವು ತೂರಾಡುತ್ತಿದ್ದರಿಂದ , ಹಾಗೆ ಕಾಣಿಸಿತು , ಈಗ ನೋಡಿ ! ಎಂದು ಪ್ರೇಕ್ಷಕರನ್ನು ನಗೆಗಡಲಲ್ಲಿ ತೆeಲಿಸಬಹುದು. ಈ ಅಪ್ರಸ್ತುತ ಪ್ರಸಂಗಿ ಅವಧಾನಿಗಳೇ “ಕಾಮಕ್ಕೆ ಕೊನೆ ಎಂದು ? ” ಎಂದು ಬ್ರಹ್ಮಚಾರಿ , ಅವಧಾನಿ ಗಣೇಶ್ ರವರನ್ನು ಕೇಳಿದಾಗ , ” ಕಾಮಕ್ಕೆ ಫುಲ್ ಸ್ಟಾಪ್ ಇಲ್ಲ , ನೀವೇ ನೋಡಿ , ಇಂಗ್ಲಿಶ್ ನಲ್ಲಿ i.e ಬರೆಯುವಾಗ ಫುಲ್ ಸ್ಟಾಪ್ ಮೊದಲಿಗೆ ,ಆಮೇಲೆ ಕೊಮಾ ಎಂದು ನಗೆಗಡಲಲ್ಲಿ ತೇಲಿಸಿದರು. ಮುಂದುವರಿದು ಕಾಮವನ್ನು ಗೆಲ್ಲಲಾಗುವದಿಲ್ಲ , ಕಾಮಕ್ಕೆ ಸೋತು ಮಗ , ಮಗಳನ್ನು ಪಡೆದು , ಸಮಾಧಾನ ಕಂಡು ಸಮ್ರದ್ಧ ಜೀವನ ಸಾಗಿಸಬೇಕೆಂದು , ಈ ಬ್ರಹ್ಮಚಾರಿ ಸೋದಾಹರಣವಾಗಿ ವಿವರಿಸಿದರು . ಎಲ್ಲರೂ ತಲೆ ದೂಗಿದರು , ತಲೆ ಬಾಗಿದರು ಈ ವ್ಯಾಖ್ಯಾನಕೆ . ಅವಧಾನಿಗಳೇ ವಿವರಣೆ ಬೇಡ ಹೌದು , ಇಲ್ಲ ಒಂದೇ ಉತ್ತರ ಕೊಡಿ ಎಂದು ” ನೀವು ಹೆಂಡ ಕುಡಿಯುವದು ಬಿಟ್ಟಿದ್ದೀರನ್ತಲ್ಲ ! ಎಂದು , ಅವಧಾನಿ ತೀವ್ರತರ ಯೋಚನೆಯಲ್ಲಿದ್ದಾಗ ಒಮ್ಮೆಲೇ ಪ್ರಶ್ನೆ ಎಸೆಯಬಹುದಾದ ಸೌಭಾಗ್ಯ ಈ ಅಪ್ರಸ್ತುತ ಪ್ರಸಂಗಿಯದು. ನಿಮಗೆeನೆನ್ನಿಸುವದು ? ಅವಕಾಶ ಒದಗಿದರೆ ಅವಧಾನಿಯಾಗಬಯಸುವಿರೋ ? ಇಲ್ಲ ಅಪ್ರಸ್ತುತ ಪ್ರಸಂಗಿಯಾಗಬಯಸುವಿರೋ ? ಡಾ.ರಾ.ಗಣೇಶ್ ರವರು ಅವಧಾನದ ಕಾಲದಲ್ಲಿ ಸದಾಕಾಲ ನಮ್ಮಲ್ಲಿ ಮನನವಾಗುವಂತಹ ನುಡಿಮುತ್ತುಗಳನ್ನು ಸುರಿಸುತ್ತಾರೆ. ಅಮ್ರತತ್ವ ಬರುವದು ಆತ್ಮ ತತ್ವದಿಂದ ಮಾತ್ರ. When we approach great people near and near , we realise they are also people ! ನನಗೆ ( ಗಣೇಶ್ ) ಒನ್ದುನೂರ ಐವತ್ತು ವರ್ಷಗಳ ಜನರ ಸಂಪರ್ಕವಿದೆ ಏಕೆಂದರೆ ಚಿಕ್ಕಂದಿನಲ್ಲಿ ಎಂಭತ್ತು ಆಯಸ್ಸಿನ ಜನಗಳೊಡನೆ ಬೆರೆಯಲು ಆರಂಭಿಸಿ ಇಂದು ಇಪ್ಪತ್ತು ಇಪ್ಪತೈದು ಆಯಸ್ಸಿನ ಜನಗಳೊಡನೆ ಬೇರೆಯುತ್ತಿದ್ದೇನೆ. ಕ್ಯಾಮೆರಾ ಹಿಡಿದು ಫೋಟೋಗ್ರಫಿ ಮಾಡುವದಿಲ್ಲ ಏಕೆಂದರೆ ಎಲ್ಲವನ್ನು ಮನಸ್ಸಿನ ಕ್ಯಾಮರಾದಲ್ಲೇ ಹಿಡಿದಿಡುವ ಬಯಕೆ. ಇಂಗ್ಲಿಷ್ , ಕನ್ನಡ , ತೆಲಗು , ತಮಿಳ್ , ಸಂಸ್ಕೃತ ಸಿನೆಮಾಗಳನ್ನು ನೋಡುತ್ತಾರೆ . ಪುಸ್ತಕಗಳನ್ನು ಓದುತ್ತಾರೆ. ಪ್ರಚ್ಚಕರಲ್ಲೋಬ್ಬರಾದ ನಿಜಗುಣ ಸ್ವಾಮಿಗಳು ಗಣೇಶ್ರವರ ಕುರಿತು ಪದ್ಯವನ್ನೇ ಬರೆದಿದ್ದಾರೆ. ವಿಶ್ವಕ್ಕೊಬ್ಬನೇ ಆರ್ . ಗಣೇಶ್ ಎಂದು ಸಾರ್ವತ್ರಿಕವಾಗಿ ಸಾರಿದ್ದಾರೆ. ಶತಾವಧಾನದ ಕೊನೆಯಲ್ಲಿ ಆತ್ಮೀಯವಾಗಿ ಡಾ. ಆರ್. ಗಣೇಶ್ ರವರನ್ನು ಸನ್ಮಾನಿಸಲಾಯಿತು. ಅಭಿಮಾನಿ ಸಭಿಕರೆಲ್ಲ ಎದ್ದು ನಿಂತು ಕರತಾಡನ ಮಾಡತೊಡಗಿದರು. ಎಷ್ಟು ಸಮಯ ಸಂದರೂ ಕರತಾಡನ ನಿಲ್ಲಲೇ ಇಲ್ಲ. ಗಣೇಶ್ ರವರು ಸೂಚಿಸಿದರೂ ಕರತಾಡನ ನಿಲ್ಲಲಿಲ್ಲ . ಗಣೇಶ್ ರವರು ಎದ್ದು ಕೈ ಮುಗಿಯುತ್ತ ತೆರೆಯ ಮರೆ ಸೇರಿದಾಗಲೇ ಧೀರ್ಘ ಕರತಾಡನ ನಿಂತಿದ್ದು. ಈ ಎಲ್ಲಾ ಸಾಲುಗಳ ಜೊತೆ ಇನ್ನೊಂದು ಸಾಲು ಸೇರಿಸಿದರೆ ಹೆಚ್ಚಾಗಲಿಕ್ಕಿಲ್ಲ. ನಿನ್ನೆ ( ೦೯.೧೨.೨೦೧೨ ) ಪ್ರೊ. ನಾರಾಯಣಾಚಾರ್ಯರ ಅಭಿನಂದನಾ ಸಮಾರಂಭಕ್ಕೆ ಹೋಗಿದ್ದೆನು. ಗಣೆeಶ್ರವರಿಂದ ಅಭಿನಂದನಾ ಮಾತುಗಳು ಎಂದೊಡನೆ ಕಿವಿಗಡಚಿಕ್ಕುವಂತೆ ಸಭಿಕರ ಕರತಾಡನ ಕೇಳಿ ಮೂಕ ವಿಸ್ಮಿತನಾದೆ. can i get the email id of shatavadhani Dr. R.Ganesh,your help would be of great help to me. Can I get Dr Shatavadhani ganesh e-mail id please .